Home Business & Tech Concerned about Climate Change? and other forms of industrial disease? Wanna be a Climate Change Communicator? Do you find it difficult to communicate about climate change or talk about social moves towards sustainability? Do you know one of the most important things we can do about climate change is to talk with our family and friends about it? 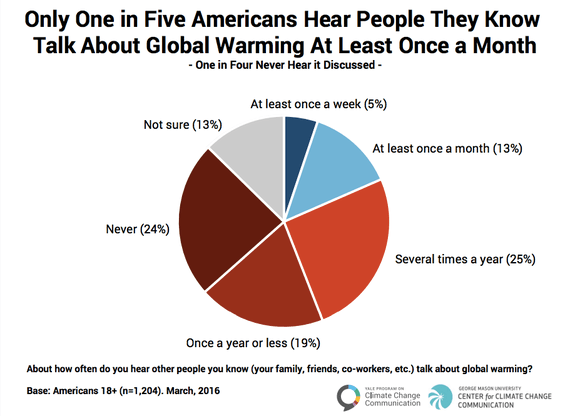 According to the Yale Program on Climate Change Communication’s Six Americas recent survey, the number of people in the US who are cautious, concerned, or alarmed about climate change is over 70%. Yet, most of us avoid discussing with the ones we love, the most important topic affecting our families and the children yet to come. Is it because we don’t know how to talk about difficult subjects with our loved ones? Is it because we’re afraid of the consequences of speaking about challenging topics? Are we afraid of losing those loved ones? From my perspective, as a climate change communicator, may I suggest, if you care deeply about the future of your family, your children and their children, the holidays are an excellent opportunity to speak to your loved ones. For those answers and more, look for more posts by the author. Like what you are reading?—why not contribute to helping spread the word?